Product prices and availability are accurate as of 2019-04-18 07:23:41 UTC and are subject to change. Any price and availability information displayed on http://www.amazon.com/ at the time of purchase will apply to the purchase of this product. The QEP 72008Q Natural Cork Underlayment is now available in a convenient 200 sq. ft. roll. 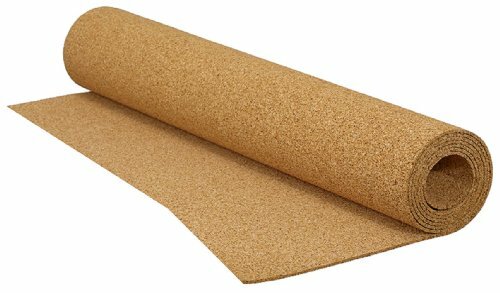 Natural cork is an outstanding sound barrier for all types of flooring, including: ceramic and porcelain tile, stone, marble, and engineered hardwood and laminate floors. Besides being an environmentally friendly option, cork is also a healthy choice. It is naturally a hypoallergenic, and contributes in creating a healthy indoor air quality.